Redesigning your meeting room? Think Vytru. One of the highest scoring devices when it comes to coolness, at least in my humble opinion, are Lync Room Systems. These are ready-to-go devices to bring the Lync, or should I say Skype for Business, meeting experience to your meeting- or board room. The big downside of these however, is the price. Especially if you invested in, for example, a big TV-screen for your meeting room before, you might want to look in to something that allows you to build on those previous investments. 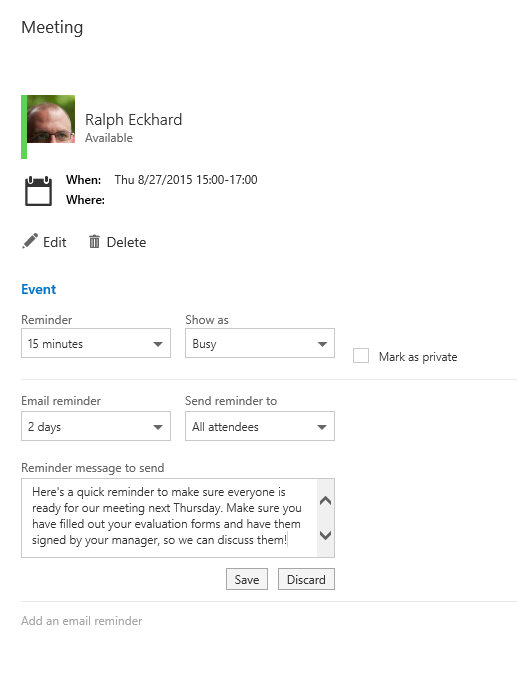 Vytru jumps into this gap with their Lync Room Video System, RVC for short. The heart of the system is the ‘codec’. This is basically a NUC-based PC loaded with the Vytru software. You can attach all your existing devices to this base, be it TV-screens, USB webcams, audio devices, etcetera. This way, you can reuse your existing equipment in your new meeting room setup. The software can be used with a touchscreen device, but if you don’t have one of those you can control it using any keyboard and mouse. You can attach any camera you want, as long as it is connected through USB. This way, you can adjust the set, and with that the price, according to your needs. Setting up a simple system for a small huddle room? Connect any HD monitor-mounted webcam and use a relatively small screen. Going all the way? Use 80″ screens and a full HD PTZ-camera like the Logitech CC3000e. Vytru can be used with a single screen, or in a dual screen setup. When using the dual screen setup, one screen will be used for displaying the video streams, while the other will show the meeting content such as a powerpoint presentation. And for the good news: while Vytru used to charge an extra licensing fee when using dual screen, they recently dropped that. Dual screens for everyone! If you want to know more about these systems or want to figure out if it fills your meeting room needs and you live in the Netherlands, feel free to drop me an email and have a chat. 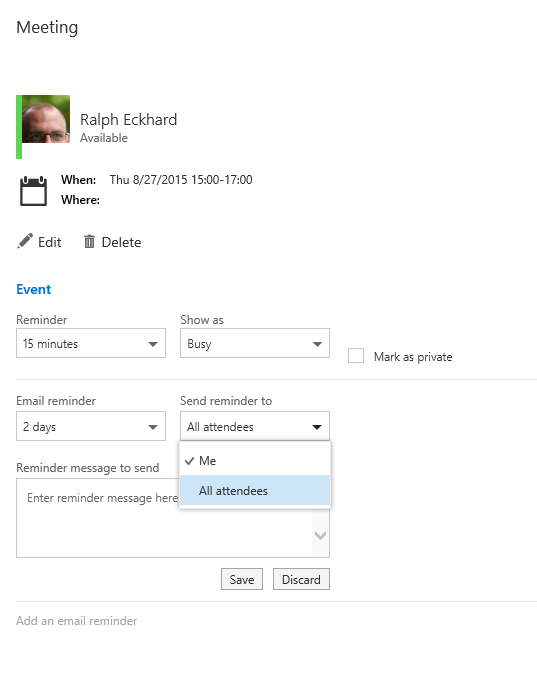 One of the perks of Windows 10 in combination with Office 365 and Azure AD is the new ‘join Azure AD’ function. This enables a few things. One of them is the automatic enrollment in MDM or Intune, which I’ll cover in an upcoming blog post. 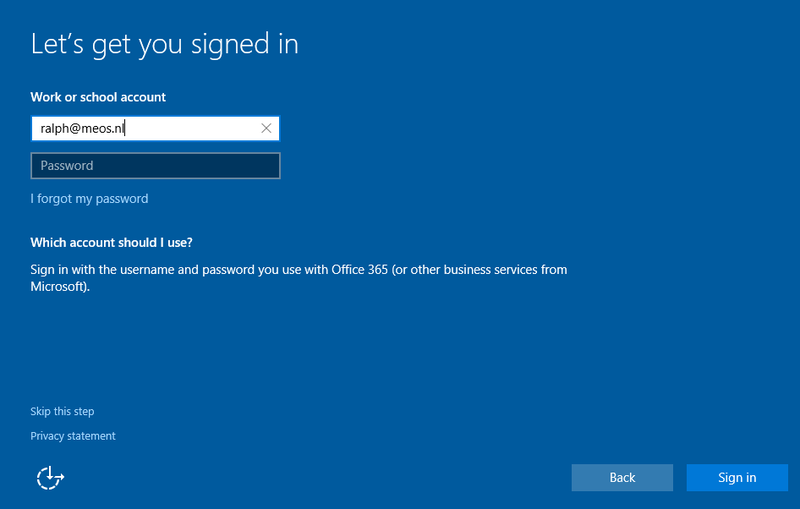 Another cool thing I’ll demonstrate here: it enables single sign-on to Azure-bases services such as the various Office 365 services. 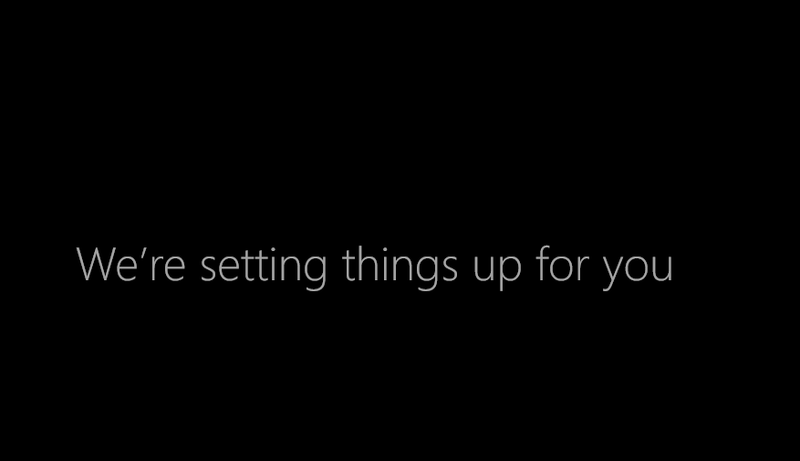 We’ll start with a sparkling new Windows 10 system. It’s the Pro-version on x64, but you’ll experience will be the same on other versions. 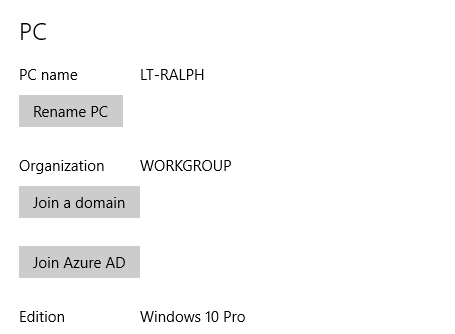 The next question is if we’ll connect to Azure AD, or to an legacy on-prem domain. 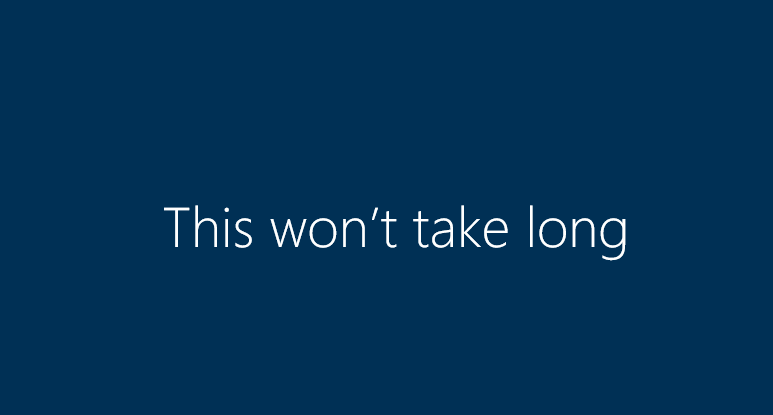 Ofcourse, we’ll connect to Azure AD for this demonstration. The wizard will ask for credentials. 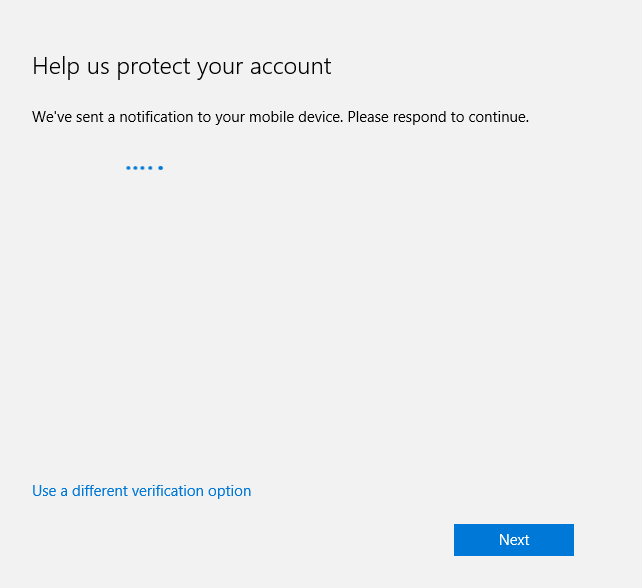 I’ll specify my work account, the same credentials that I use to sign up to Office 365. After signing in, the system will be enrolled and the company policy is applied. 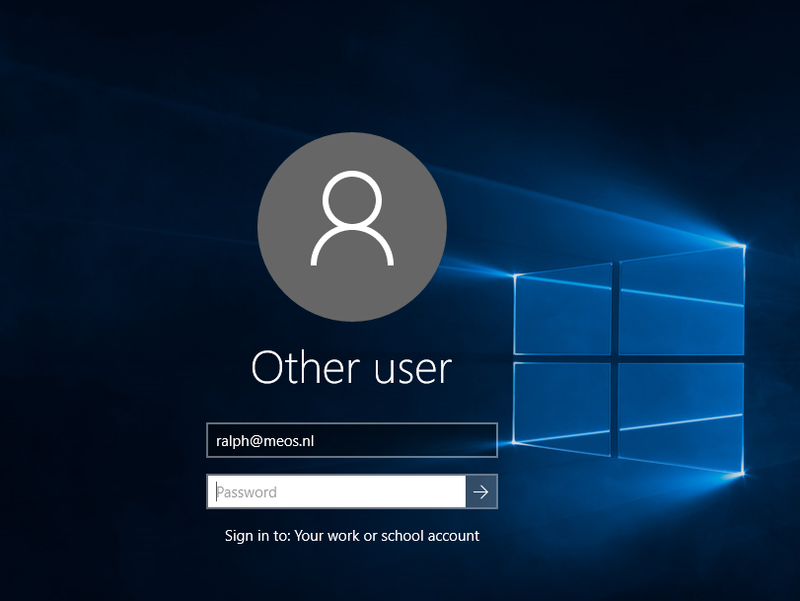 After a few moments, the lockscreen appears and I can log on using my Azure AD / O365 account. Because it’s the first time I log on using that account on this machine, my profile will be set up. 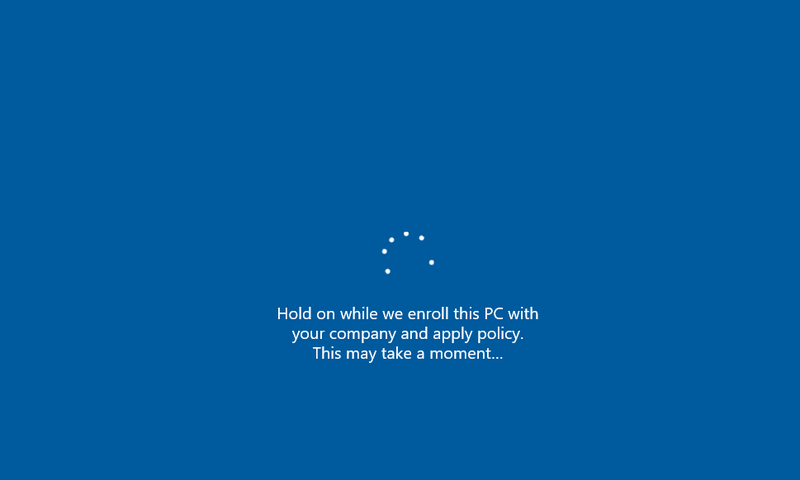 Being enrolled, certain policies will be enforced on the PC to comply with the company requirements. 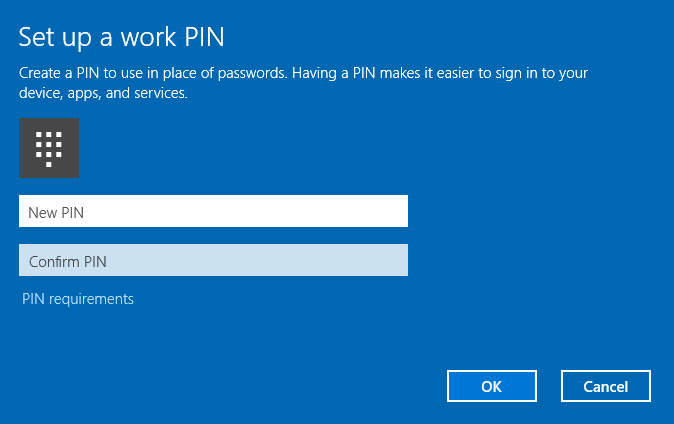 I need to set up a PIN to unlock the PC, because that’s part of the policy. So I will. 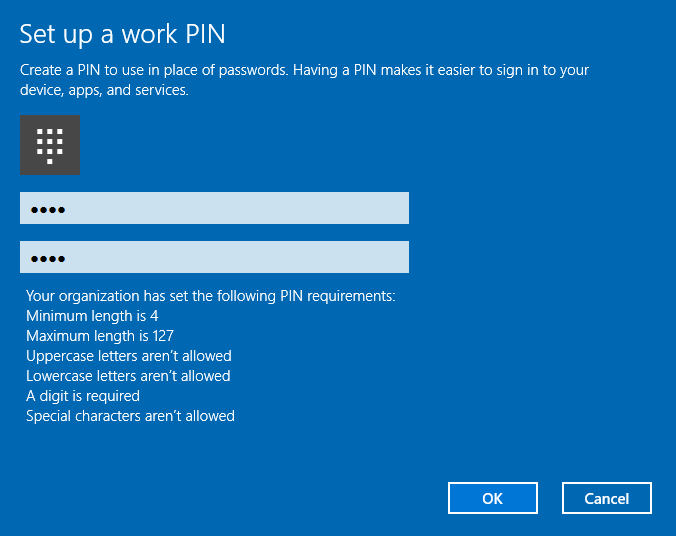 For setting up a PIN I must use two-factor authentication, because company policy requires that. A push message is sent to my smartphone so I can authenticate. 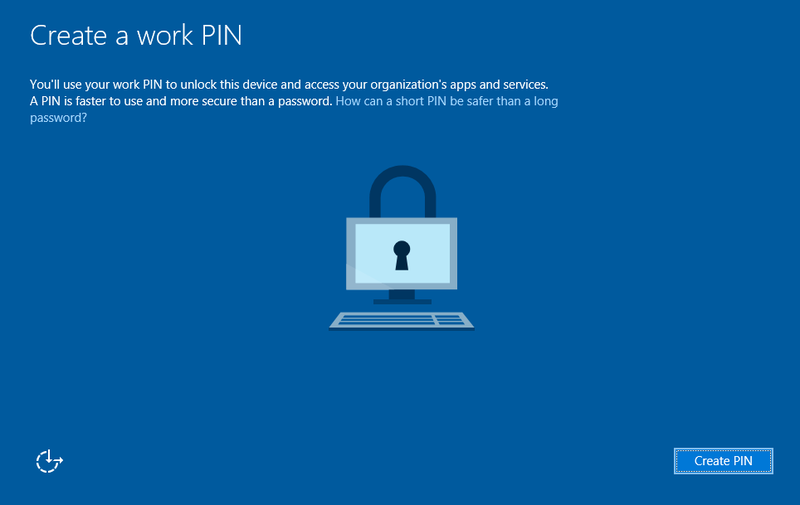 After the second factor of the authentication is completed, I can actually set up the PIN. Ofcourse, the company has some requirements for this PIN. And after that I’m signed in! 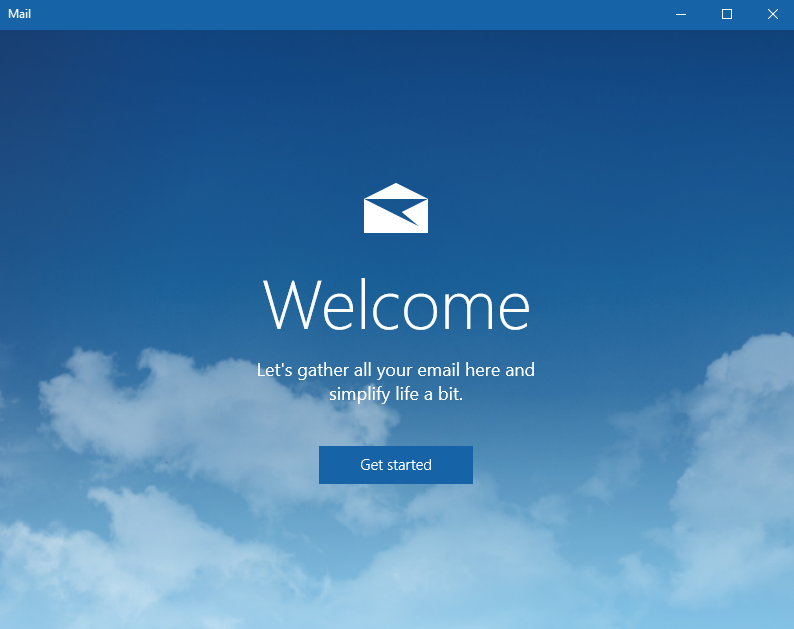 First thing I do is to check the Outlook mail app. 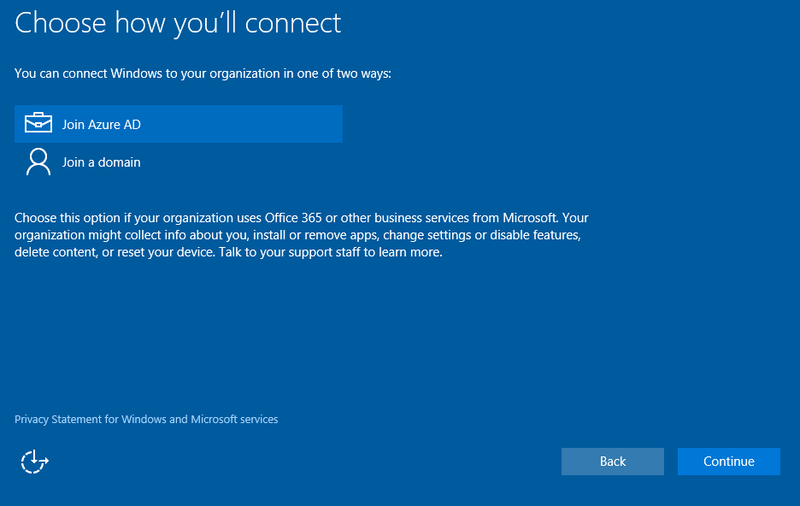 Being signed in with my Office 365 account, I’d expect the app to be preconfigured with my Office 365 mail account. Next up, I’ll fire up a web browser to navigate to https://outlook.office365.com. 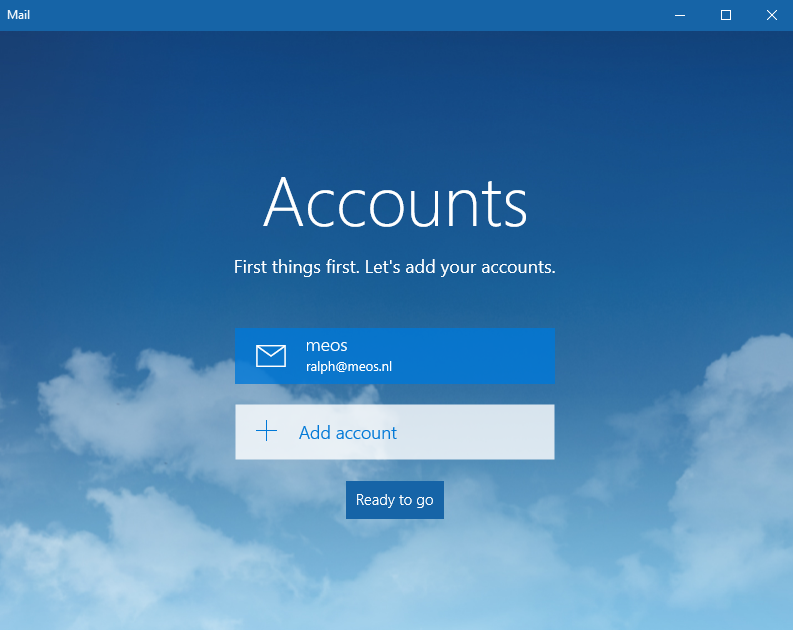 Because I’m logged on with my Office 365 account, I don’t need to log on in the browser and I’m being logged on to my mailbox automatically. 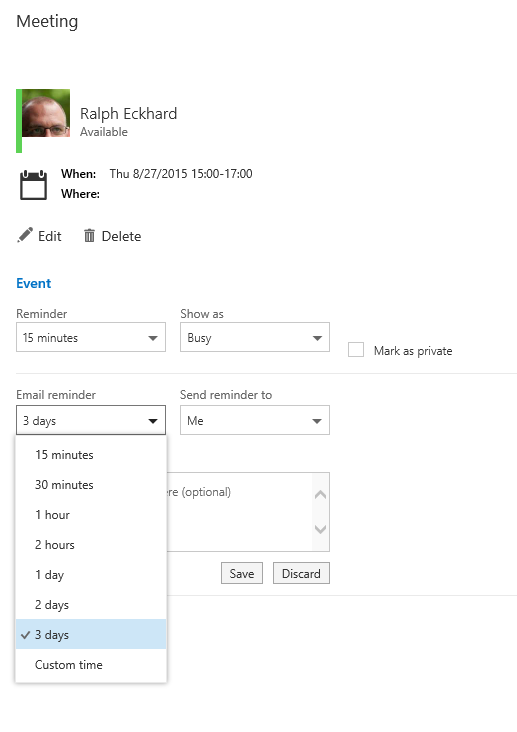 Note that this doesn’t only work for Outlook Web App, but for all Office 365 and Azure apps, including for example Sharepoint Online and Delve. 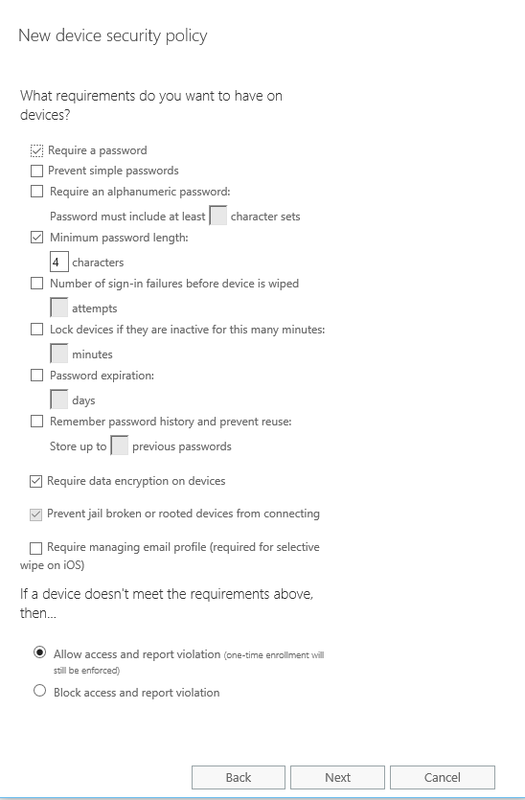 If you don’t use a company owned device but log on to Windows using your private Live ID, you can still Azure AD join the machine. To do this, go to the settings app and open the ‘accounts’ settings. 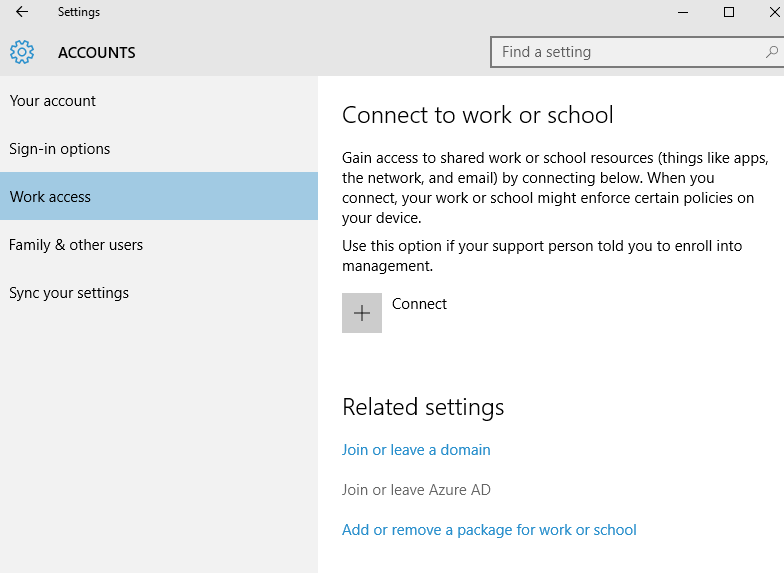 On the ‘work access’ tab, you can click the ‘Join or leave Azure AD’ link to connect using your Azure AD account. You will be taken through the wizard to join the Azure AD, with the same experience as the ‘out of box’ setup demonstrated above. 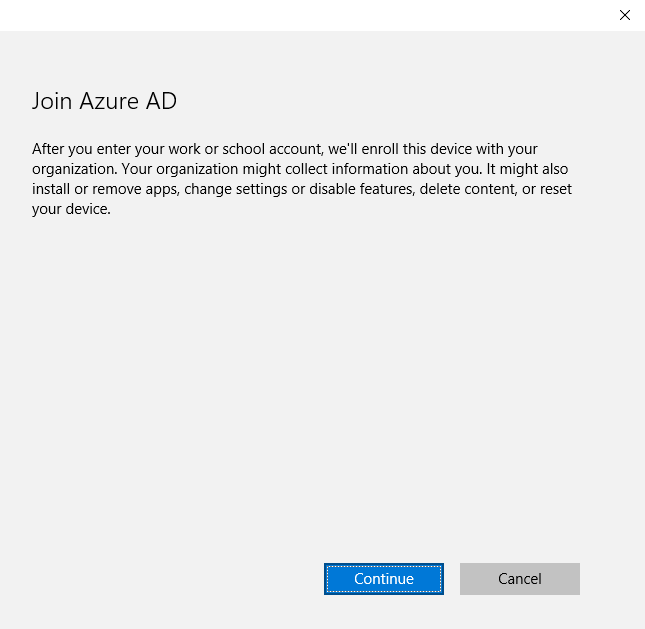 When joining devices to Azure AD, you can also automatically enroll the device to Intune. That itself brings a lot of possibilities on managing the device and enforcing policies and pushing software and apps. I’ll cover that in one of my next blog posts!